Author Marina Burton Blickley, Esq. The Washington, D.C. metro area is a hub for our servicemen and servicewomen. With the recent announcement that the military is substantially increasing troop levels in Afghanistan, we remind area employers that the Family and Medical Leave Act (“FMLA”) grants employees with military family members special leave rights. FMLA leave for military families falls under two categories. First, the FMLA grants military families leave for “qualifying exigencies” associated with the foreign deployment of the covered employee’s spouse, child, or parent (or the receipt of notice of such deployment). This “Qualifying Exigency Leave” provides an eligible employee up to 12 workweeks of unpaid, job-protected leave during a 12-month period. The “exigencies” contemplated by the FMLA cover a variety of commonsense needs and difficulties that may arise from a close family member’s deployment or notice of deployment. For example, such exigencies might include leave to allow the covered employee to make financial, legal, and childcare arrangements; attend military events and programs related to the member’s deployment; spend time with the member upon a return for short-term rest and recuperation; and take certain care of a parent of the military member who cannot care for him or herself. Notably, the 12 weeks of Qualifying Exigency Leave is not in addition to the 12 weeks of FMLA leave provided for in more typical situations, such as leave for an employee’s own serious health condition or to care for a newborn child. Rather, Qualifying Exigency Leave is simply another ground upon which an employee may take his or her baseline 12 weeks of FMLA leave. For example, an employee who takes six weeks of Qualifying Exigency Leave and another six weeks of FMLA leave on account of her pregnancy would ordinarily not be eligible for any more FMLA leave for the rest of the applicable 12-month period. Second, the FMLA grants “Military Caregiver Leave” to covered employees who are the spouses, children, parents, or next of kin of certain servicemembers and veterans who are suffering from, recuperating from, or receiving treatment for certain serious illnesses or injuries. Military Caregiver Leave essentially provides up to 26 workweeks of unpaid, job-protected leave during a 12-month period to such employees so that they may provide care for those servicemembers or veterans. From the first date that an employee takes Military Caregiver Leave, the 26 workweek cap includes not only Military Caregiver Leave, but also other FMLA leave on any other basis. For example, if an employee takes Military Caregiver Leave for 26 weeks from January through June, the employee should not then be able to take any FMLA leave for a serious health condition that he or she later developed before January of the following year. Employers subject to the FMLA should be aware of (and ensure their policies accurately reflect) all of the covered reasons an employee may be eligible for FMLA leave. These descriptions of “Military Caregiver Leave” and “Qualifying Exigency Leave” provide broad outlines of the FMLA provisions unique to employees with close family members in the military, but FMLA law contains many wrinkles. For example, not all employers are required to provide FMLA leave, such as generally those with fewer than fifty employees. Similarly, not all employees are eligible to take FMLA leave, such as those who have worked for an employer for less than 12 months. Additionally, it is important to understand that the FMLA not only protects an employee’s right to leave but also specifically prohibits employers from interfering with or discriminating against employees who take FMLA protected leave. Thus, supervisors and other management personnel should be aware of the protections provided by the FMLA as well. Finally, often when an employee is seeking FMLA covered leave, employers must also consider additional laws to ensure compliance. There are overlapping legal requirements to consider beyond the FMLA, including the Americans with Disabilities Act, state and local disability laws and ordinances, and paid sick leave laws. 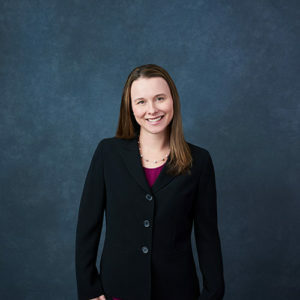 If you have questions regarding FMLA compliance or would like assistance with revising your FMLA policies, please feel free to contact Marina Burton Blickley.